Unique Kiosk is a leading mall kiosk manufacturer in China. We provide high quality mall kiosk design service. From a simple food kiosk to complicated coffee bar ,Or sushi counter with beverage concession booth, Any types mall kiosk shop we can design it for you. If you have been build kiosk in mall before , You will understand that to start a mall kiosk business, you need a specified kiosk drawing for mall to first. We custom indoor kiosk With high resolution 3D rendering & detailed construction drawing. You can submit directly for mall to approved it . A kiosk design from mall kiosk manufacturer is much better then you get it from interior design company. Because as a kiosk supplier , We know all the mall criteria and standards . Different mall would have a different guidelines. We have been design & manufacture mall kiosk for over 20 years. So experienced designer will help you save a lot of time & Money. How much a mall kiosk design ? We design a mall kiosk for free ! 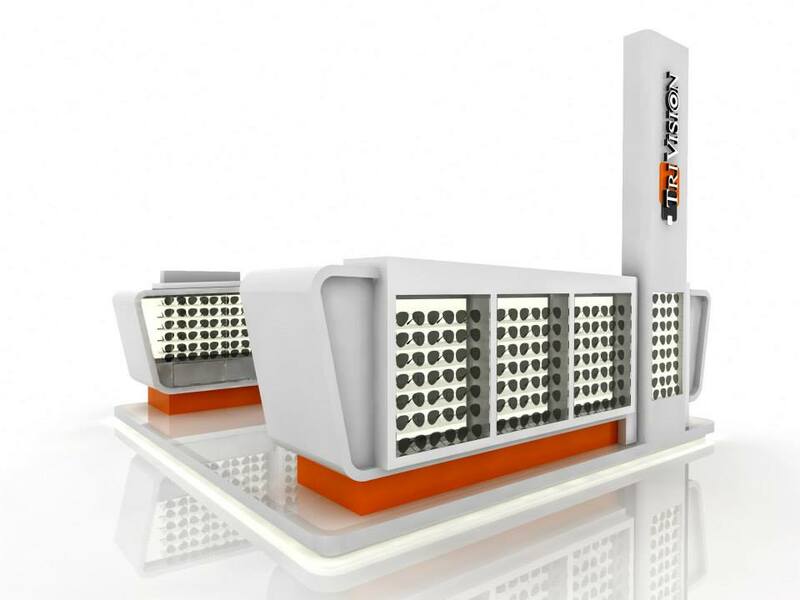 yes are right , free mall kiosk design on the prerequisite that you will build the kiosk in our factory. We have thousands of finished projects on our site , You can use our design directly . If you want a custom kiosk design , write for us & we will design the kiosk for you accoding to your requriement. Here blow are steps to get a free design. Sign a design contract . Arrange 300-500 USD(based on different kiosk size) design deposit payment. Custom design according to requirement. providing 3D rendering together with detailed construction drawing. Free Modification until you satisfy with the design. Place order for kiosk & refund the design fee in the cost of kiosk. We have designed kiosks and indoor shop for many different business threads. Thousands of unique kiosk design are displaying on our site. Our finished mall kiosk almost includes any types of business ideas for mall. Here below is some main basic models. Food kiosk in mall is very hot business ideas. We have designed food kiosk for cupcake, bakery, waffle & crepes. High-Quality nuts & candy kiosk design in mall will boom your business a lot, We great kiosk design for roasted products. Fast food kiosk for ice cream, frozen yogurt or gelato are our main products, Our designer is good at it. For beverage kiosk in mall, Coffee kiosk design will be the most representative one. We have designed Starbucks coffee kiosk & similar shop which are welcomed all over the word. Fresh juice bar kiosk or bubble tea kiosk design is also very hot business threads check our design to learn more. Retail mall kiosk has the biggest category in mall shop-in-shop kiosk concepts. We have a design for jewelry retail display, luxury watch kiosk, modern sunglass hut. Besides gift retail solutions, we also have clothes & garment display design for T-shirt kiosk, shoe kiosk, and suit shop. Eyebrow threading kiosk & nail manicure bar our main salon kiosk, Except cosmetic spa we also design kiosk for teeth whitening salon & massage salon. provide a nice modern salon station design. As for hair kiosk design, We have barbershop design in mall with hairdressing stations, hair straightener kiosk design. So basically we can custom all the salon business kiosk for you. Contact us and get the latest design. Luxury retail kiosk concept like jewelry kiosk design or watch retail kiosk ideas are the best and popular business trends. We offer a large quantity of modern design white and black jewelry kiosk design and best watch shop store idea. From standard round and square shape to irregular organic design. You can find the best luxury display solution ideas here. Our talented design team can fully custom your jewelry interior display design with the best skills and creative ideas. Besides luxury retail kiosk design, we also have hundreds of sunglass kiosk design, fashion kiosk ideas, gift kiosk concepts. During the past 15 years, we have finished over 100 fashion sunglasses retail kiosk design for clients all over the world. Whether you need free-standing fashion display rack design for full sunglass hut concepts or even a big sunglass fashion store gift store. 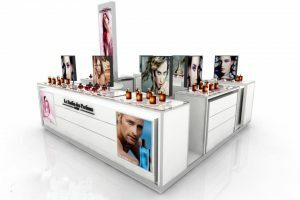 We can help you fulfill an outstanding kiosk design. Digital products are starting to come op stage in very recent times. but soon became a super start in the retail business. Unique Kiosk supply different types of cell phone retail kiosk design, mobile phone repair kiosk design as well as phone accessories kiosk design and phone case display ideas. We are very first few companies that design & manufacture cell phone digital products retail kiosks. We have experienced designer to help you design a modern technical style with an ultra color scheme and open minds.